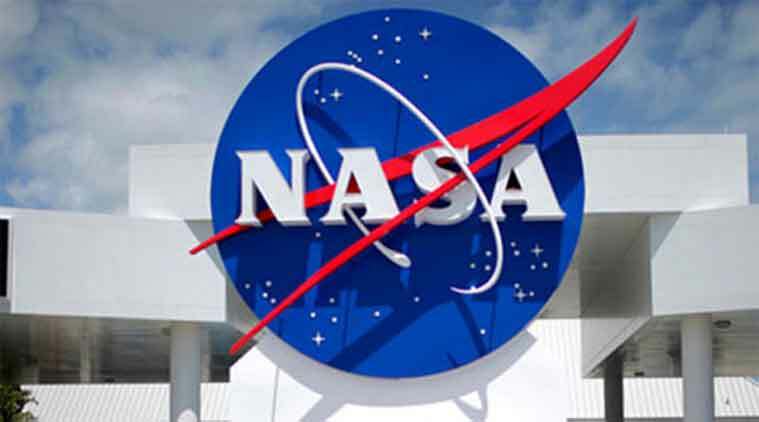 NASA and ISRO will be collaborating to make Indian Regional Navigation Satellite System and GPS more accurate and NASA will also be providing navigation and trajectory support to Chandrayaan-2. The NISAR (NASA-ISRO Synthetic Aperture Radar) mission that involves building of a 2600 kilogram satellite that will “effectively make a time-lapse movie of the earth” while keeping a close eye for ecosystem disturbances, ice-sheet collapses and natural hazards, will be first mission where collaboration between NASA and ISRO will be biggest ever, says a senior scientist from NASA on Monday. “In 2011 we started talking to ISRO and prior to that NASA was thinking of doing it (the mission) all by itself or with collaboration from Germany or Canada… It is a much bigger collaborative effort than undertaken ever before by the two agencies,” said Alok K Chatterjee, Mission Interface Manager and Launch System Engineer of NISAR project, Jet Propulsion Laboratory (JPL), NASA. Chatterjee who was in Gujarat Science City for an “outreach event” with other US-based scientists associated with the project — including NISAR project scientist Paul A Rosen, Mark Simons, Ian Joughin, Scott Hensley, Paul Siqueira and Piyush Agram — pointed out that ISRO will be providing the “spacecraft bus”, S-band SAR payload and the launch vehicle, while NASA will be providing the L-band SAR and the engineering payload for the mission that will have a total cost of over USD one billion and is expected to be launched in 2020. According to Chatterjee, the recent collaboration between NASA and ISRO began in 2005 with the Chandrayaan-I mission where an eight kilogram Moon Mineralogy mapper from NASA accompanied the mission helped in “joint-discovery” of water on moon. “JPL also provided shadow navigation support to ISRO for Chandrayaan-I because ISRO was doing it for the first time and they had do some trajectory and navigation analysis all the way to the moon. JPL provided expertise in validating and verifying all the solutions so that they can reach the moon correctly,” he added. Similar support was for provided to Mars Orbiter Mission (Mangalyaan) where JPL’s navigational expertise in deep space trajectory and maneuverability aided the mission, the NASA scientist pointed out. According to the NISAR project scientist Paul A Rosen, the mission was “in a formulation phase” which according to him was “just one step from building the actual hardware. “This mission aims to create the world’s largest freely available remove sensing data set. It will create one petabyte of raw data every year,” said Rosen adding that the satellite is being designed to a mission duration of 5-10 years. “Using this data, scientists can create models that will help predict future changes in Earth’s topography,” he said adding that NISAR will also address a range of applications relevant to India, including monitoring the country’s agricultural biomass, snow and glacier studies in the Himalayas, Indian coastal and near-shore ocean studies and disaster monitoring and assessment. This team of scientists from NASA will also be participating in a workshop scheduled to be held at Space Applications Center (an important arm of ISRO) in the next couple of days in connection with this mission. Both NASA and ISRO are planning to fly a bigger version of the Moon Mineralogy mapper or M-cube on an aircraft for earth applications. “Now we have a situation where NASA and ISRO are going to conduct an airborne experiment with NASA instrument called AVIRIS-NG (Airborne Visible InfraRed Imaging Spectrometer – Next Generation). This is going to happen this month or next. It has tremendous application in terms of agriculture, forestry, coastal changes and so India has selected targets all over the country to fly this airborne experiment using JPL instrument. This will form the basis for a much more global space-based collaboration,” Chatterjee said that the instrument has already been integrated with an aircraft provided by India. NASA and ISRO will be collaborating to make IRNSS (Indian Regional Navigation Satellite System) and GPS more accurate and NASA will also be providing navigation and trajectory support to Chandrayaan-2, he added.